Much of the milkweed that is sold commercially is non-native “tropical” milkweed. These nonnative plants are generally not synced up with the seasonal changes of their new environments. They can survive later into the winter. “When the caterpillars eat them they get poisoned, but also it could be transferred into the nectar," she says. "So, when the pollinators eat them, they could get poisoned." If you live in Central Texas, the Wildflower Center has launched a program to make monarch friendly plants more easily available. When a lot of people suddenly notice the same thing at the same time, it might be worth looking into. This year in Central Texas that's what's happening with fireflies. There is an unusually large number of them lighting up the early evening, and people who have noticed are wondering "why?" 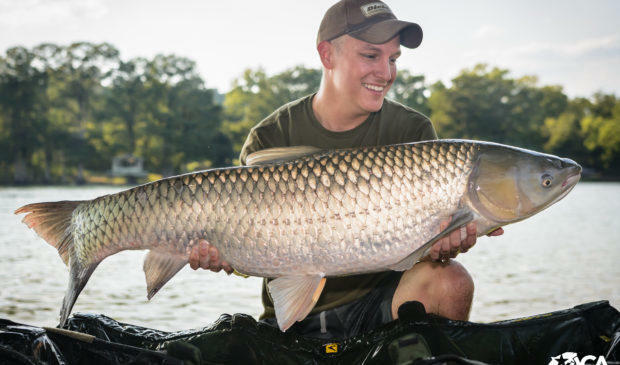 Grass Carp Ate All the Plants in Lake Austin. Now the City Wants Them Gone. Standing next to Lake Austin, watching the wake of passing motorboat lick the shoreline, you likely wouldn’t think there was anything amiss. But just below the water’s surface many of the creatures that call the reservoir home are struggling for survival.